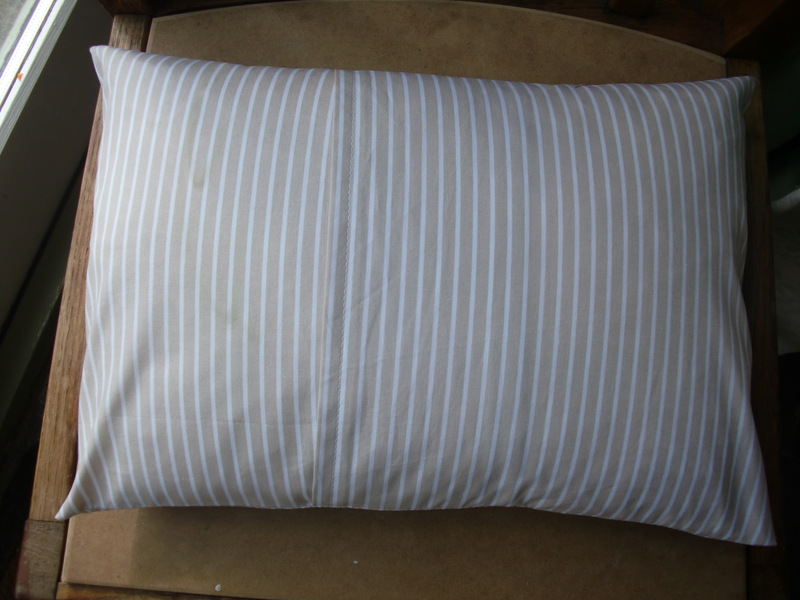 I have a little pillow in my daughter’s cot and it had a plain old pillow case on it that I whipped up in a hurry many moons ago. It was a more than bland (it may have even been calico) so I thought I’d make a new one for her. 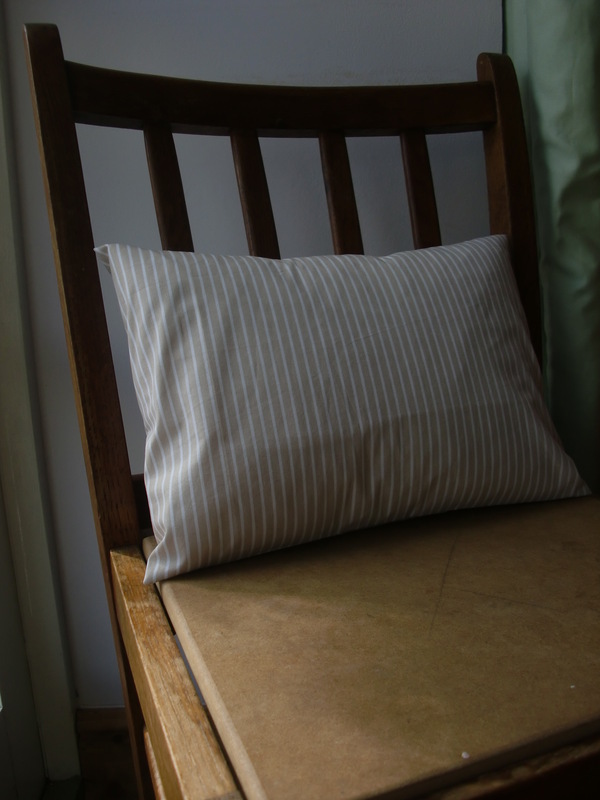 I’ve not got a lot of time on my hands at the moment so I decided to go for a simple envelope style pillow case. 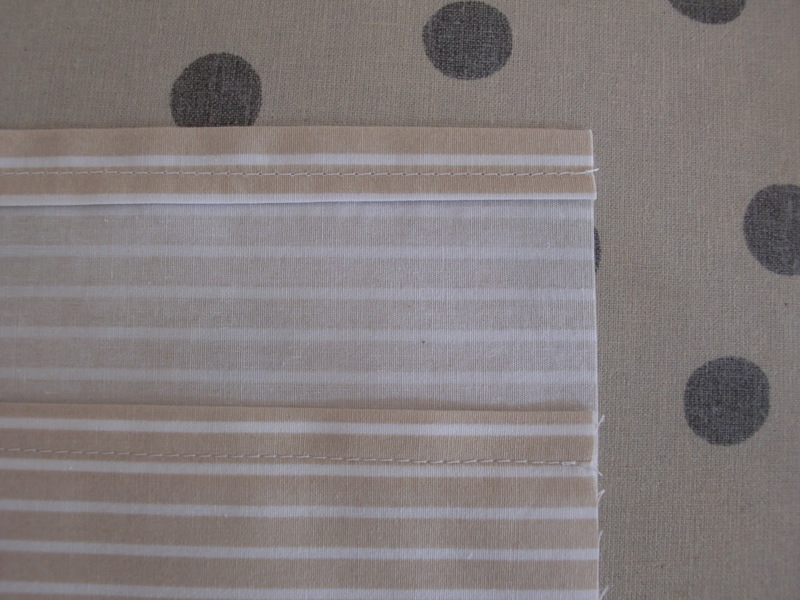 Here are my making notes if you would like to make a simple envelope style pillow case yourself! 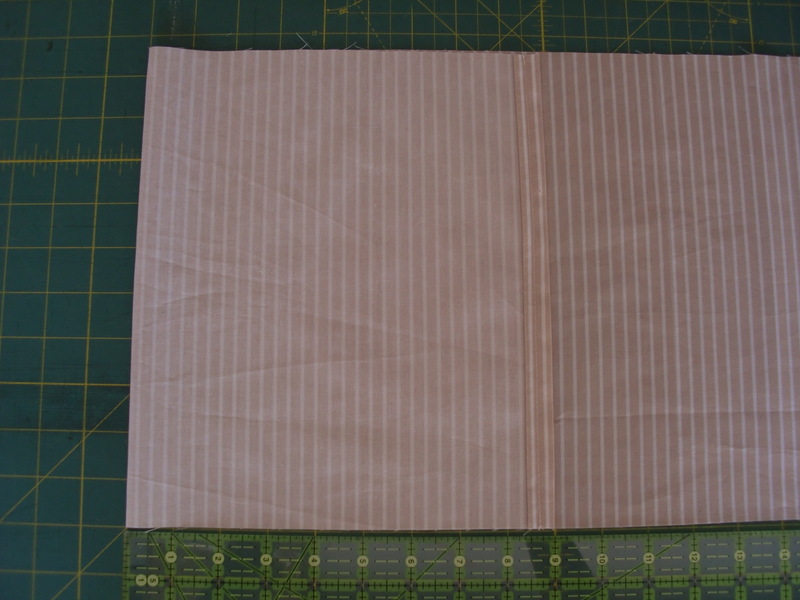 This tutorial only requires four straight lines of stitching and no zipper to insert. You only need basic sewing skills so why not give it a try. All you need is some fabric, a sewing machine and an iron. 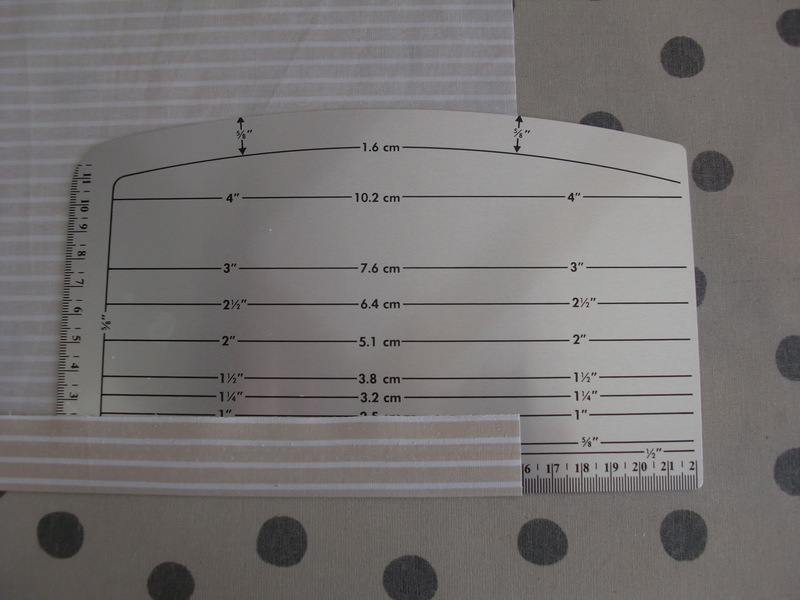 From the right side of the fabric top stitch the hem in place about 3/4″ from the edge and then press over your line of stitching. Lay the fabric with the right side facing upwards. 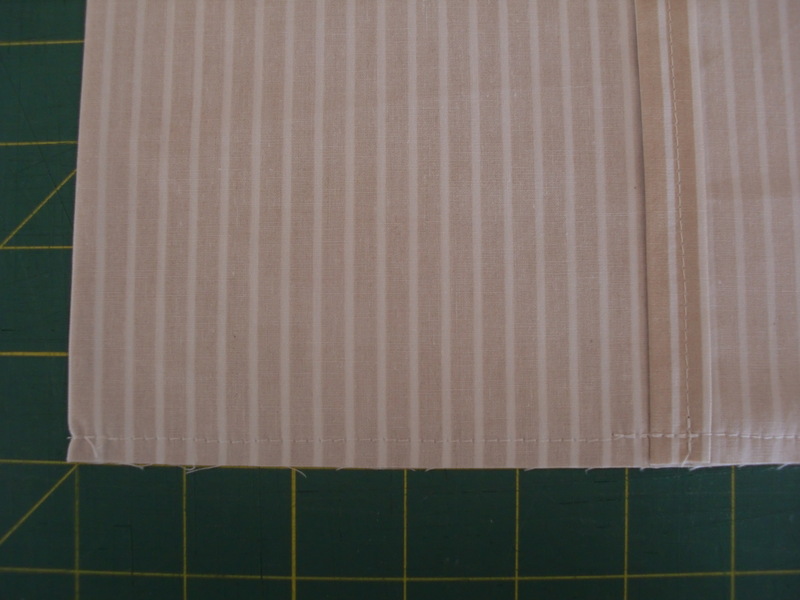 Fold over one side of the fabric so that the edge of the hem is approximately 3/4 of the way across the main part of the pillow. 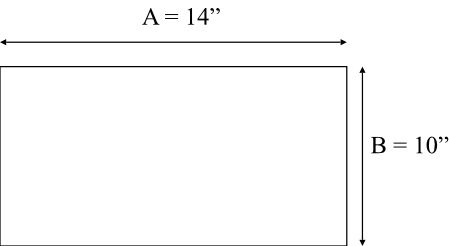 In this case I have placed it 9 inches across. I need this tutorial – I’ve got fabric for pillows waiting at home. Thanks for sharing! Thanks! 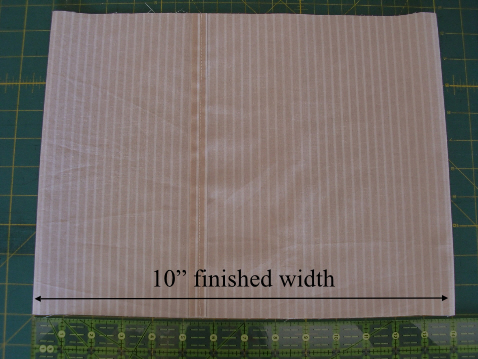 I’ve got notes for an Oxford pillow case (one with a border) too to write up….it’s on the list!